Giving a second look, you're right, this thread is not bad at all. I think I was projecting my thoughts from other threads I've seen recently where people seem emotionally and even spiritually exhausted by the grind. It's part of why i started doing Meaty Reviews here--people really want someone somewhere to notice that they're putting in a lot of hours to make something dear to them. Making my comic is something I can't STOP doing. I have a story in my head that's already written and I just have to get it out. Learning the ins and outs of making comics to showcase my story is harder. I'm not hoping for money or anything. Even amazing webcomics are free. Nobody is going to pay for mine! lol Honestly, I just want to make something people enjoy reading. Everytime someone says they like it I get all these warm fuzzy feelings. It won't ever pay my bills or make me famous but it makes me happy. First post on the forums so hopefully I did things right? There are threads where people just lament and are down, and sometimes it is a good thing to get stuff off your chest. But I think this one is helping people think about why they do what they do, and alot of those reasons are happy. it is why I created the thread, to recognize the happy! I think that is a really awesome reason to be making your comic. You are awesome! I absolutely LOVE reading comics. There's a certain rush i feel when i'm reading a comic i think is amazing. That feeling is what i want to share with my readers. The joy of entering another world and seeing life through a different lens. I'm a beginner though, so making money is going to take a while. But right now i want to improve my artwork. i like pretty art therefore i want to make pretty art. Maia is blessed with an ability she doesn't want. While trying to live life pretending she can't see spiritual beings, she runs into a demon who eventually becomes a thorn in her side. Now, she has to get rid of that thorn or lose her life trying. I like your color pallete! I think that your anatomy could use work, and the dialouge is a teeny bit hard to follow. 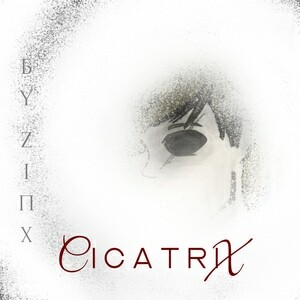 The conept behind your comic is really cool, and your intentions are so pure. You make pretty art! Thank you soo much for the review! I appreciate it. I'm struggling with a lot of things in regards to drawing but knowing that I will improve if I keep going helps. My goal for Flirting With Death is to establish myself, and to get used to making comics properly. It's been my first project and I think I've done really well! Most recently I've been working on lighting and colouring, and I'm learning loads every day. My goal for the new comic, Lladro, is to make something truly scary and deliver a wild ride to remember! I feel like horror isn't so common anymore - a lot of horror creators are settling for thrillers or gorey action stuff instead. I want to make something really unsettling; a real psych horror that gets under the skin. I'm excited to see what people think of it. I really love the dramatic lighting you use - it adds tons of emotion and with the way you draw faces it compliments amazingly well. Your panels are composed in pretty fun ways so far, too! The poses you use are expressive and lively. I think one of the things that stands out to me is the fundamentals - sometimes your colours go outside of the lines, or your linework feels a bit shaky! 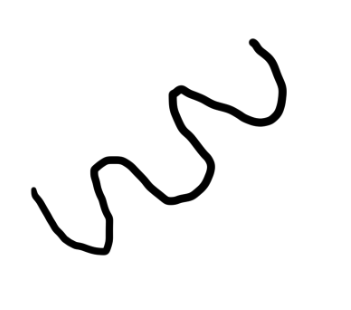 If you focus on reigning in that lineart your work will look much more lively and fluid. 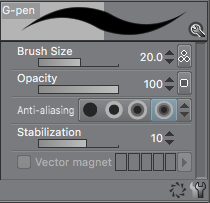 I think increasing the stabilisation of your brush should fix that. For the colouring, just be extra careful not to leave the lines. The biggest thing is the panelling. Some panels are full of energy in their content, but the panel itself is a flat rectangle. I think being a bit more experimental and daring with the shapes and sizes of your panels could help a lot - try using diagonal lines to separate two panels where characters are arguing, to add a bit of intensity for example. Try long and stretched out panels, isolated panels, spaced out panels... Maybe try circular panels, or panels that slot together in fun shapes. Mess with it and push the limits! It's definitely got loads of potential and you've made a good start on it. I won't give up till I do. Thank you so much! I definitely will work on everything you said. 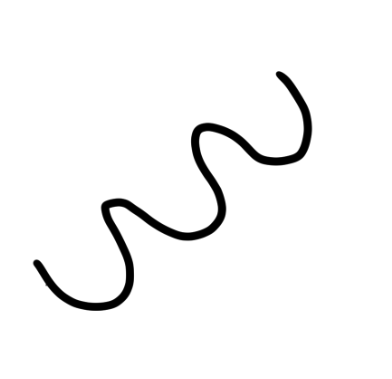 How do I stabalize the brush? I just love to make art and like my idol Stan Lee, I want to write as long as I live. Obviously, not the same story lol. Here are my two comics so far. One is an adaptation of the Jekyll and Hyde tale and the other is a slice of life family comedy. Hey. I've been wanting to make a comic for quite some time now, and I finally got a first episode up. I'd love some constructive criticism if possible. He thought things were simple, that pain was the centre of life. If anyone can check it out, that would be greatly appreciated. 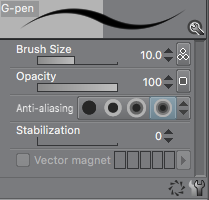 But you should be able to stabilise brushes with the brush options, depending on your program. Just turning up the slider to 10-15 immediately irons out all shakiness in the lines! Now that is an intriguing tool. Oh! I'm so sorry, I feel silly. Duh. It's obvious now. I was barely awake. Your plotline is really intriguing! I like the colors you use and the text layout is great. Only things are maybe a few anatomy problems, and the dialouge could be more natural. Other than that it is awesome! Yeahh, for sure. I had to rush it for an assignment because I have exams to study for. Thank you so much for taking the time to provide feedback though. of all the fantasy novel and comic i had lay my eyes on, they all share a similarity. their setting, character designs, culture... is either and strictly western or eastern, so one day i pop a psychedelic drug and said "why not both!"